Whether you are new to the online advertising game or an old pro, there are several things that you must take into consideration if you plan to advertise online (which, in today’s world, is basically everyone). The Federal Trade Commission (“FTC”) is the governmental agency that regulates advertising and issues guidelines on how best to advertise within those regulations. For your convenience, Traverse Legal has compiled the Top 5 Things you need to know if you choose to advertise online. As with any type of advertisements, online advertisements must be truthful and not misleading; backed up by evidence (i.e. substantiated); and cannot be unfair (i.e. it is likely to cause consumer injury that is not outweighed by benefit to consumers). The FTC’s main goal is to protect consumers from false and deceptive advertising. To this end, the FTC requires that disclaimers and disclosures be “clear & conspicuous.” In determining whether a disclosure is “clear & conspicuous” the FTC considers factors such as the proximity and placement of the disclosure to the claim; prominence of the disclosure; whether the language of the disclosure is understandable and audible; etc. Another important thing to consider is whether the disclosure is clean & conspicuous across all devices the advertisement is accessed on (i.e. computer, tablet, and mobile phone). The FTC defines Comparative Advertising as “advertising that compares alternative brands on objectively measurable attributes or price, and identifies the alternative brand by name, illustration or other distinctive information.” Comparative Advertising is not a green-light to bash another brand in favor of your own. Rather, it is meant to be a source of information for consumers to help them make rational purchasing decisions. If your non-compliant advertisement either gets reported or the FTC finds it themselves, you could be subject to an injunction, fines up to $16,000, and/or be responsible for issuing consumer refunds. To avoid such ramifications, it is beneficial to make sure your advertisement complies with regulations prior to publication. These five pointers are only the “tip of the iceberg” when it comes to FTC online advertising regulation. It is important to remember that all advertisements are unique and are evaluated on a case-by-case basis. However, keep these pointers in mind and you will be on you way to a legally sound online advertising. Are you thinking of developing online advertising for your brand or product and want to know the acceptable parameters? 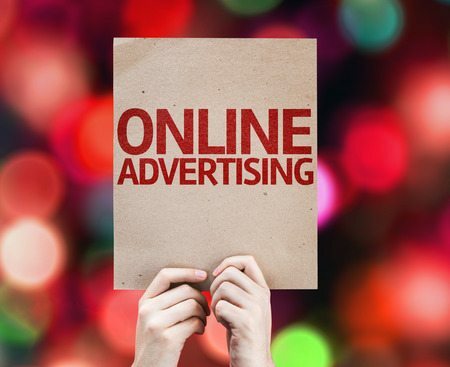 Do you need your current online advertisement reviewed to ensure continued legality? Traverse Legal can provide detailed research assessments catered to your particular advertisement so that you can breathe easy knowing that you are in compliance with the FTC. Give Traverse Legal a call today!